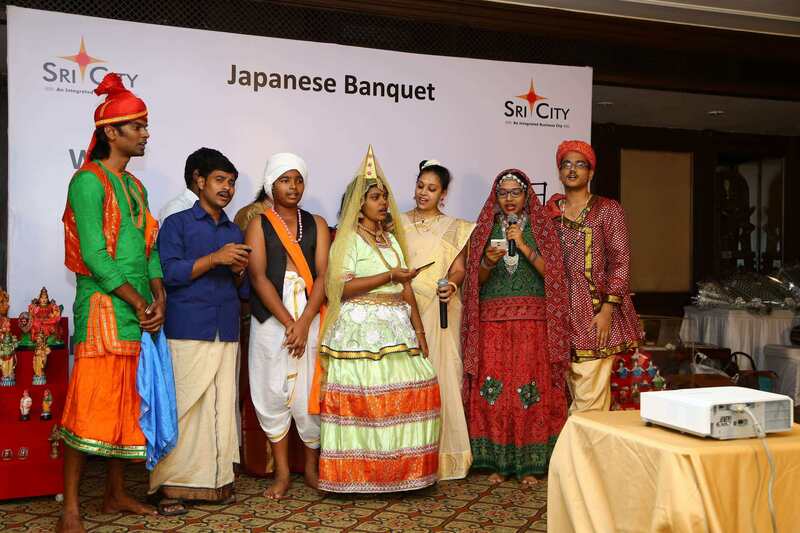 Sri City, February 13, 2016 :- Sri City hosted a Japanese banquet on Friday night at Taj Coromandel hotel, Chennai, for which the Consul General of Japan in Chennai Mr. Seiji Baba was the chief guest. Mr. Yasukuni Enoki, former Ambassador of Japan to India and Consul Generals of USA, Australia, Russia, South Korea, France, Belgium, Thailand and Malaysia were the guests of honour of the event. Complimenting the balanced growth of Sri City Mr. Seiji Baba said that it is where business, lifestyle, housing, healthcare and academia come together in perfect agreement. He further said that the Japanese companies in Sri City are from different sectors ranging from automobile, engineering machinery to personal hygiene products, and they all feel at home. senior government officials. 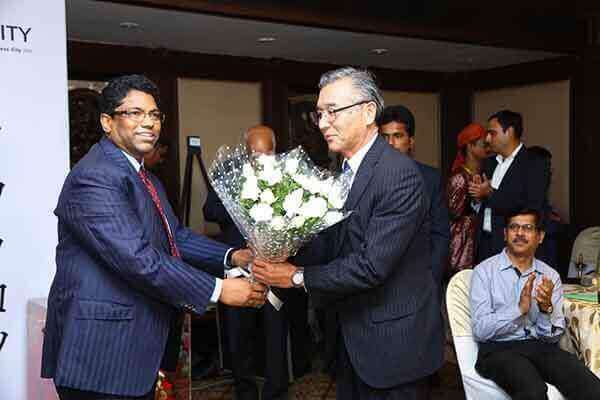 Besides the senior executives of Sri City based Japanese companies, top executives of Japanese establishments in and around Chennai also took part in the event. A quiz programme was also organised in which all the guests took part. Mr. Seiji Baba emerged as the winner of the competition. As a token of gratitude Mr. Ravindra Sannareddy felicitated all the distinguished guests and thanked them for adding gloss to the event with their august presence. An event showcasing the rich heritage of Indo-Japanese cultural was well presented by the students of ABK – AOTS DOSOKAI, Chennai, a Japanese School promoting cultural between India-Japan. The programme was very well received by the audience.